NFP | National Family Partnership | Thank You For Your Participation! 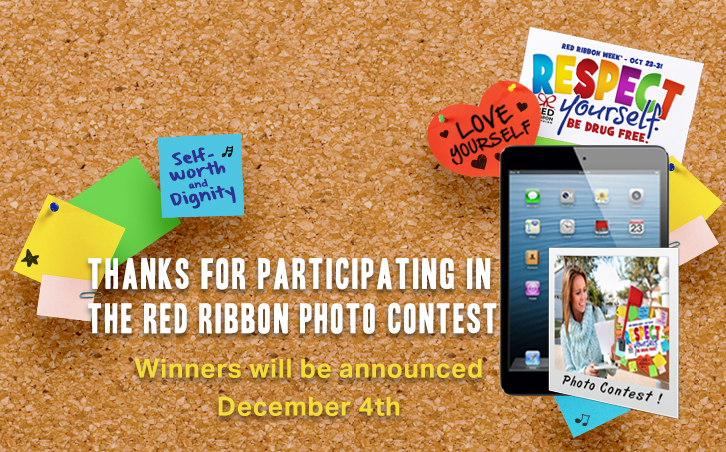 Now that the voting period in the 2015 National Red Ribbon Photo Contest has ended, we’d like to take a moment to thank everyone who participated! We received several hundred entries from homes and schools across the country – and were greatly inspired by your photos. Apparently, we weren’t the only ones who loved your Red Ribbon Week photos, featuring this year’s theme; close to a quarter of a million votes were cast on your behalf!